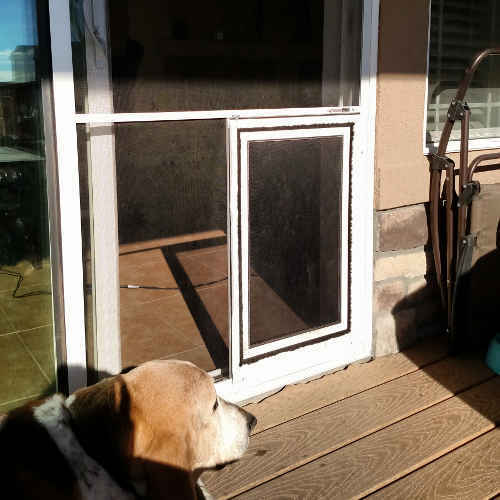 Sliding glass patio dog doors in Denver and the front range. The valued patio pet door company. In doors, walls, screens and sliding glass patio dog doors. Making pet owners happy all across the Front range and Denver. 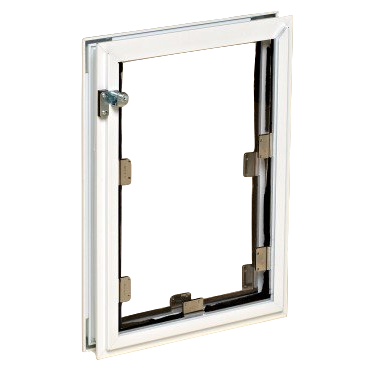 Made in Colorado with a strong metal frame and unbreakable security panel. 5 year pro-rated warranty. Available in 11 sizes and 4 colors. A budget friendly option with less energy efficiency and durability. This doesn't come with a warranty. Available in 4 sizes and one color. 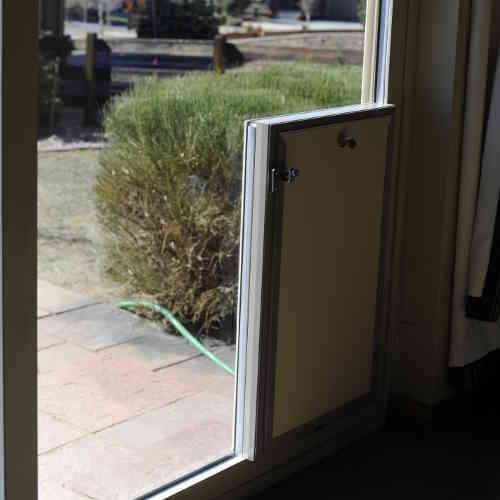 Dog Doors in Glass Doors. Expertly Installed. We use custom tempered glass with available low-E glazing. 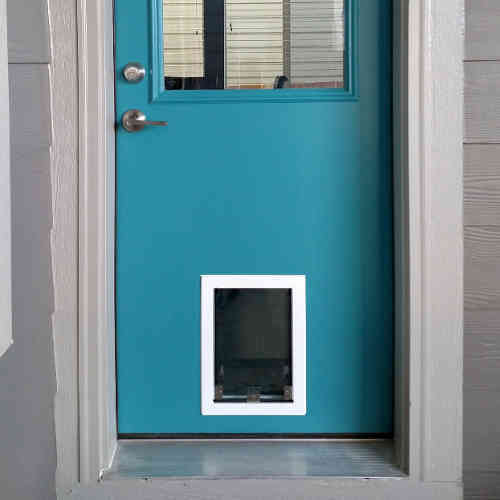 A great option for someone who does not want a permanent dog door. The original pane of glass can be re-installed any time. No loss of walking space through the door and all locks and security system sensors function normally. Dog Doors for Doors. Fast Installation. Relax while your pet door is professionally installed with a guarantee of proper installation. 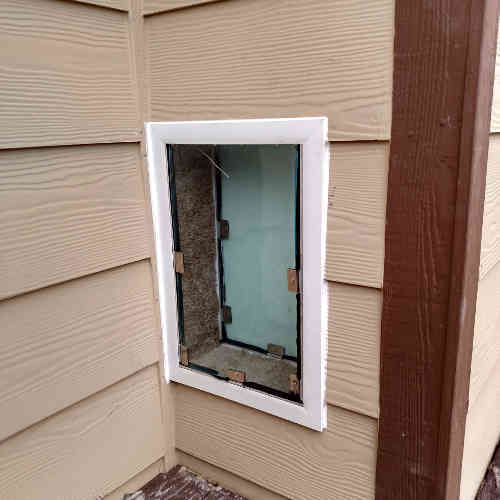 The height we install the dog door at is customized to the size of your pet. Dog Doors through walls. Let Pet Door Pro do the hard work. 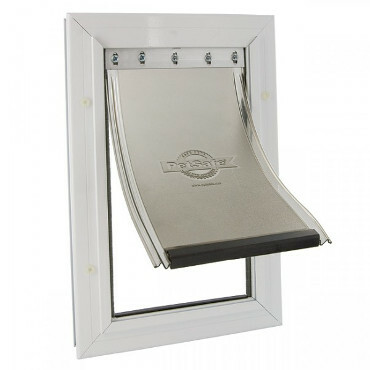 Built with high grade aluminium, and carpeted for a beautiful door and cleaner paws. It can be worrisome to cut into the walls of your home, have a professional do it for you. You can count on us to provide an installation that will last. Screen Door Dog Doors. Let the summer breeze in. 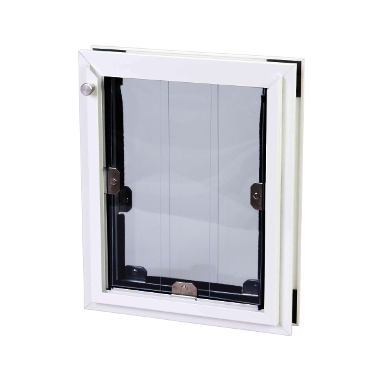 Get ready for summer and have us install a dog door in your screen so the fresh air can flow and your dog can go outside to lay in the sun. BBB because great service is important to Pet Door Pro. Dan was super helpful! I called and he answered all my questions and installed our doggy door super quick. He was extremely professional and even tackled the difficult task of installing through brick. We are extremely impressed and happy with the service and product!